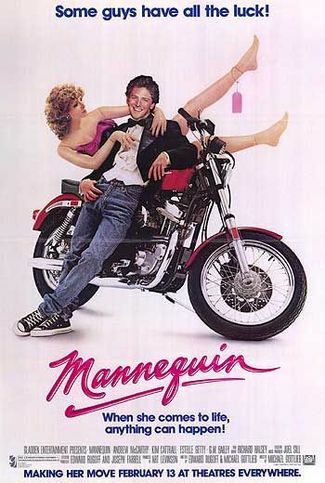 Today’s feature is the bizarre 1987 romantic comedy, Mannequin. Mannequin was directed and co-written by Michael Gottlieb, who was also behind such films as Mr. Nanny and A Kid In King Arthur’s Court. His co-writer and executive producer on the feature was Edward Rugoff, who would go on to contribute to the even more infamous sequel, Mannequin Two: On the Move. The cinematographer for Mannequin was Tim Suhrstedt, who has also shot such films as Idiocracy, Office Space, Men At Work, and Teen Wolf. Mannequin had two primary credited editors: Frank Jimenez (They Live, Rambo: First Blood Part II) and Academy Award winner Richard Halsey (Rocky, The Net, Sister Act, American Gigolo). The music for Mannquin was provided by Sylvester Levay, who also notably composed the scores for the films Hot Shots! and Cobra. Outside of Edward Rugoff, the other producers on Mannequin were Art Levinson (Mr. Mom, The Money Pit), Joseph Farrell (Joyful Noise), and Catherine Paura, a film marketing professional. The effects team for Mannequin included Richard Arrington (Field of Dreams, Purple Rain), Phil Cory (Misery, Weekend At Bernie’s), Hans Metz (The Thing, Splash, Theodore Rex), and Ray Svedin (Speed, The Monster Squad, Stop! Or My Mom Will Shoot). 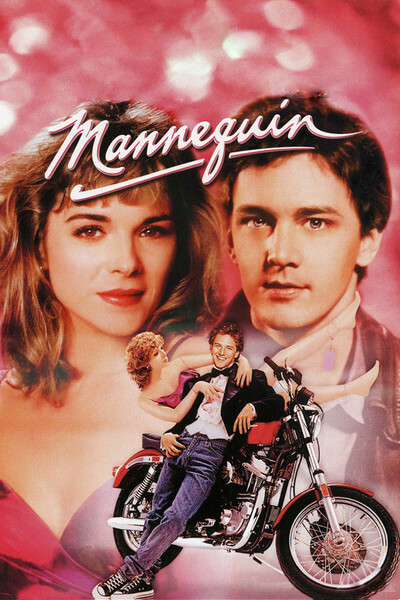 The cast of Mannequin features Andrew McCarthy (Pretty in Pink, Weekend at Bernie’s, Weekend at Bernie’s II), James Spader (Wolf, Crash, Tuff Turf), Kim Cattrall (Police Academy, Big Trouble In Little China), Carole Davis (Piranha Part Two: The Spawning, The Flamingo Kid), G.W. 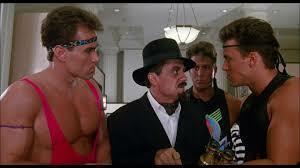 Bailey (Scorcher, Short Circuit, Police Academy: Mission to Moscow), and Estelle Getty (The Golden Girls, Stop! Or My Mom Will Shoot). 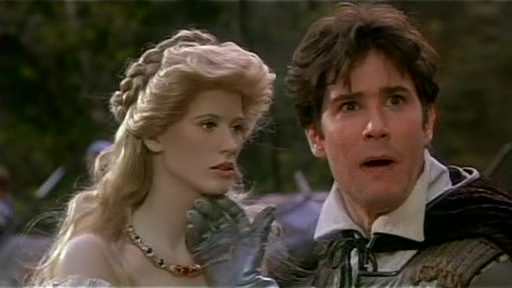 Mannequin wound up with an Academy Award nomination (Best Song) for Starship’s “Nothing’s Gonna Stop Us Now,” which was created for the soundtrack. The song ultimately hit #1 on the Billboard Hot 100. Mannequin was given a sequel in the form of Mannequin 2: On The Move in 1991. However, it failed to become a financial success, and was generally reviled by critics and audiences alike. 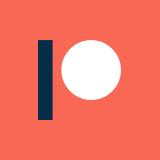 Stay tuned, because I’ll probably be giving this one a look sooner or later. Mannequin seems to be to some degree inspired by the Twilight Zone episode “The After Hours,” about mannequins who come to life after the store closes. However, in “The After Hours,” the central character isn’t aware that she is a mannequin, and eventually has to accept her status as an inanimate object in a twist ending. Mannequin, on the other hand, features a human who is cursed into being a mannequin, and is only able to be active at night, which is played for laughs. There is a quick mention of The Twilight Zone in the movie, though the line is a throwaway reference. The plots are ultimately very different, but the influence on the premise is clear. The reception to Mannequin was generally negative: it currently holds a 5.7 score on IMDb, along with Rotten Tomatoes ratings of 22% (critics) and 55% (audience). Despite the unenthusiastic reception, Mannequin ultimately grossed well over $40 million domestically in its theatrical run, making it a significant financial success on a budget of $6 million. The mannequin herself is a really odd character. First, there are the obvious mechanical questions. How exactly does her condition work? It seemed to imply time travel in the beginning of the movie, but how did that turn her into an inanimate object? Also, how does she keep finding specific people to bring her to life? None of this is ever adequately explained, which should be no surprise. However, the mannequin is also odd as a character, as she seems to fall in love with Switcher for no particular reason at all, and is enamored with him out of the gate. It is all unrealistic enough that it is impossible not to question if the character is really in his head after all, because it becomes increasingly implausible to believe that the mannequin character could be real. The fact that the audience only ever sees the mannequin alive from Switcher’s point of view also brings this into question, at least until the very end of the film, at which time she is cured of her mannequin-ism by true love (or something like that). One of the accessory characters in the movie is Switcher’s ex-girlfriend’s coworker, who is only defined by his persistent and blatant sexual harassment of her. It is clearly supposed to be played for laughs, which is massively uncomfortable, and ever creepier when she ultimately decides to sleep with him for some reason (possibly because she was dumped for an inanimate object). Mannequin features one truly outlandish character in ‘Hollywood’: a campy, flamboyant stereotype who is Switcher’s closest friend and co-worker. 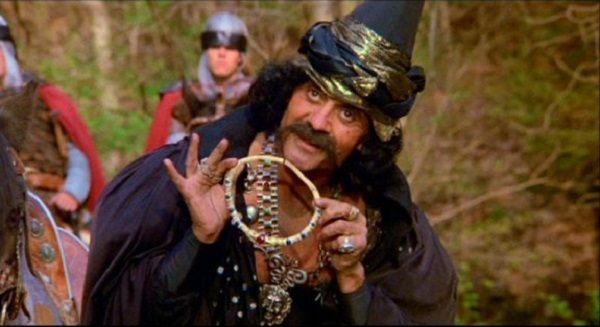 All of that said, he certainly livens up the movie, particularly with the hilarious costume designing done for him. Nothing got me laughing in this movie as much as the outlandish sunglasses that showed up on Hollywood in every other scene. Likewise, James Spader is at his scummiest in this film as the corrupt antagonist, and it is just impossible not to love-hate a Spader bad guy performance. Something else honestly bothered me about the plot to this movie: do people actually pay attention to window displays in department stores, to the point that it influences their shopping decisions? This is a key focus in the movie, and a driving aspect of the plot. Most of the story circulates around competing window displays at two different department stores, and that’s how the main character winds up finding his success. I always assumed that window displays were a pretty basic way to showcase some new product, as opposed to being the primary aspect of a shop’s advertising. I’m pretty sure that window displays have dramatically minimized in the U.S. over the past few years, as shoppers have moved away from going to traditional malls. So, maybe this plot is more of a sign of the times than anything else. There are a number of really distracting transition effects used throughout the movie, which I assume were intentionally included. Typically, editors try to make their cuts as subtle as possible, but the ones here stand out immensely. My best guess is that they were intended to make the film seem more cartoonish, but I found them more distracting than anything else, particularly because of how consistently they were used. Of course, there is no way not to address the fact that this movie has a main character who is regularly banging a mannequin. That is pretty strange no matter what the context is, whether there is a time traveling Egyptian curse or not. Weirder than that, however, is the way people unrealistically react to his behavior with the mannequin. His coworkers mostly just giggle and gossip about his shenanigans, and occasionally eavesdrop on him. Overall, Mannequin is damn strange on its surface, but is really just a traditional romantic comedy once you dig into it a little. The characters are simple, the plot is nonsense, and the whole film seems to take place in an alternate reality where people are little more than flesh cartoons. I didn’t mind the experience of watching it, but I can’t think of any reason to recommend it. The movie isn’t painful to sit through, but I’m still not sure why anyone would necessarily want to. For the sake of curiosity, it is probably worth watching to say that you did.